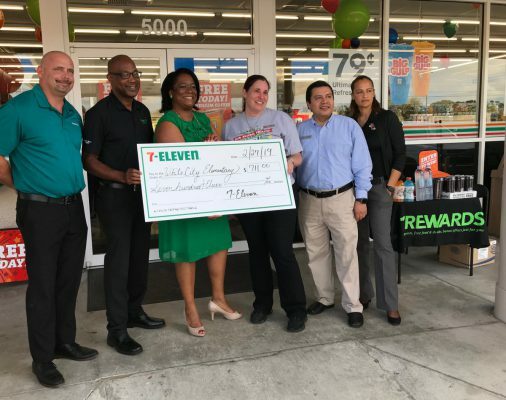 White City Elementary School received a monetary donation of $711.00 from the 7-Eleven Store located on Midway and US1. White City appreciates 7-Eleven for being a business partner and supporting the staff and students of WCE. Students who will be high school freshmen for the 2019-2020 school year are encouraged to attend their assigned high school’s open house on Wednesday, March 13 from 6:00PM-8:00PM. For more information, contact your child’s school. Congratulations are in order for Morningside Elementary and Principal, Kathleen Melrose. For the 2018 holiday season, Morningside Elementary gathered 1020 toys for donation to Toys for Tots. The community is thankful for your generosity. Way to go Morningside!